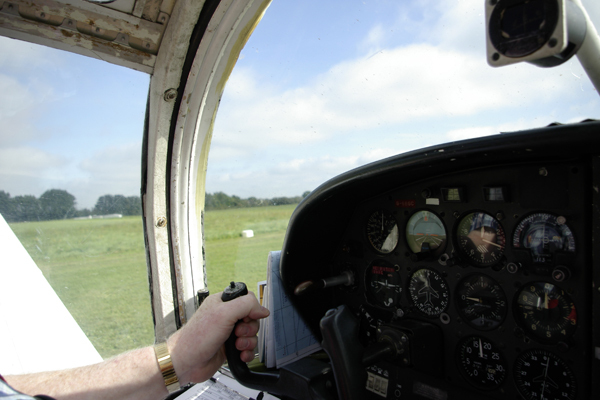 Of all the activities that Kilkenny has to offer, booking a flight through the Kilkenny Flying club has to be one of the most interesting. Getting up into the air to get a clear view of the city and its surrounding areas is one of the best ways that you can see the county and its surrounding areas. 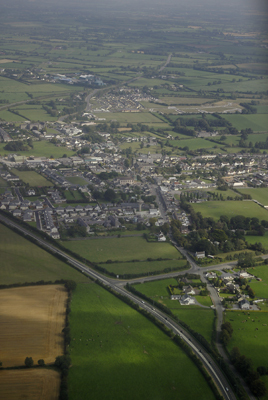 Kilkenny Airport is located on the Ballycallan Road toward Tullaroon. The airport is clearly sign posted and is about 3 miles from the town. 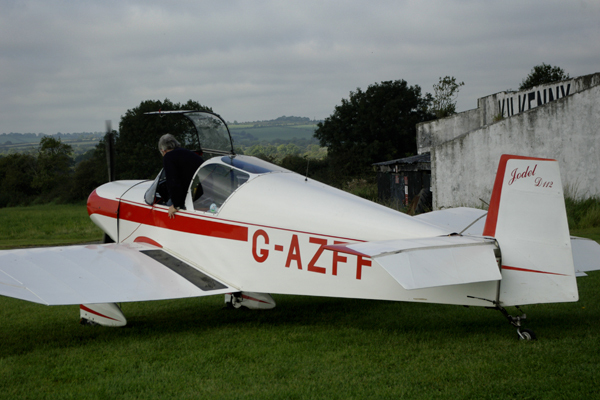 Kilkenny Flying & Gliding Club has been running since 1969. 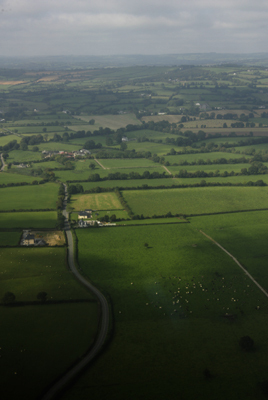 During this time numerous pilots have been trained here; some have progressed to national and international carriers, The majority are recreational pilots who still get a buzz from exploring Ireland, and further afield, from the air. KFGC provides safe and realiable aircraft at a reasonable cost to it’s members so that they can enjoy their hobby in a relaxing, stress free environment. 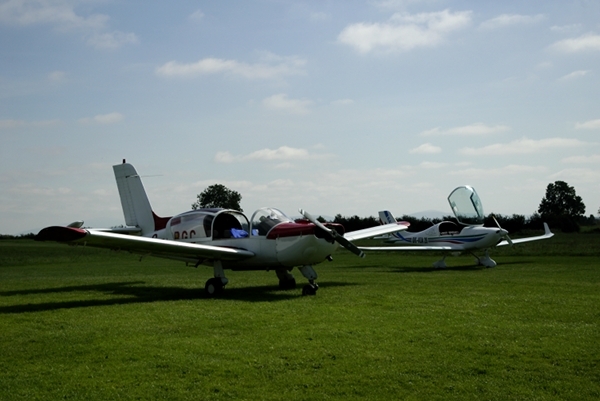 Kilkenny Airfield, now known as Conor Airpark, is home to three flying clubs and also a number of private owners and groups. Visitors are made to feel welcome. Pat Nolan is one of the pilots and committee members at the airfield and it was a pleasure to meet him. He talked about the safety aspects of the fight and the route that we would be taking for the afternoons flight. 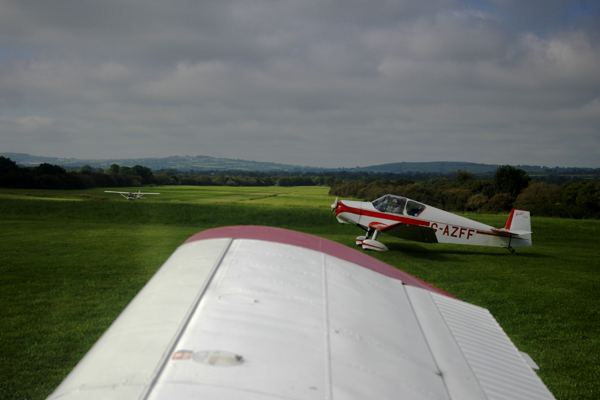 I was decided that we would fly from Kilkenny to the Waterford coast and back again, first passing Callan towards Fethard – in Tipperary. 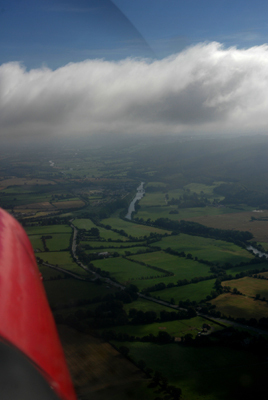 We would then fly along the River Suir over Clonmel passing Carrick On Suir and from there down towards Tramore and along the Waterford coast before finally heading passed Slievenamon and arriving back at Kilkenny airport. Before we set out Pat got us seated safely in the aircraft and went trough a very detailed routine of all preflight safety checks. This helped to settle the mind and reassure the passengers. Ready for take off pat notified the air traffic controller that we intended to takeoff and the route we intended to travel. 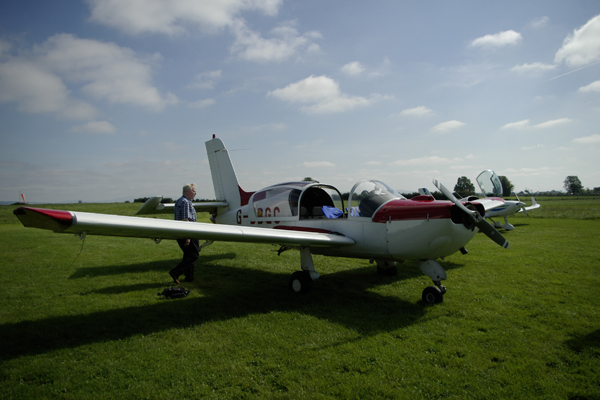 The airport consists of a simple grass runway and we took our place in the queue ready to start the fight to Waterford. We waited about 5 minutes and then positioned the aircraft at the end of the runway before proceeding to takeoff. Once in the air we headed towards Callan. On reaching Callan we circled the town and could see clearly how the new housing estates had grown over the last years, however some have only grown to half the intended size and remained unfinished. 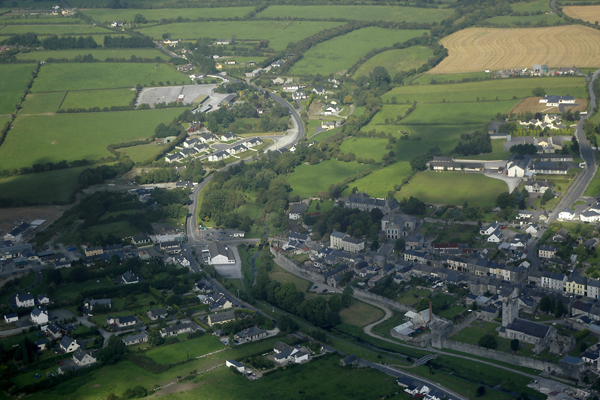 From Callan we flew above Fethard in Tipperary. The walls of the town could be clearly seen from above showing the size of the original walled market town. 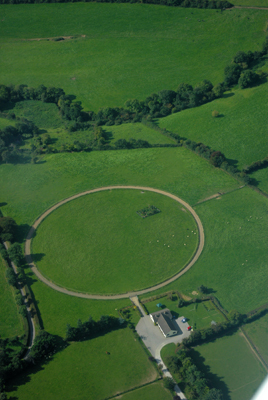 This part of the country is known for it love of horses, this was evident by the many training tracks and exercise rings. From the Fethard area we moved down to the River Suir just north of the town of Clonmel. The river can be seen in the photograph some 1500 feet below. 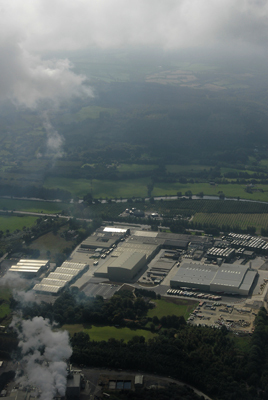 We continued along the River Suir and we flew above the Bulmers site, the site of Merck Shark and Dohme was also viewable at Kilsheelan. 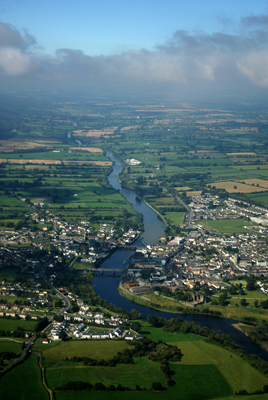 From Kilsheelan on the River Suir we passed the town of Carrick On Suir, this photograph looks back at the town toward Clonmel and both the new and old bridges at Carrick can been seen below. From Carrick On Suir we continued down the river to Fiddown and looked towards Waterford, the island below and the two bridges that link the north and south of the river can be seen. 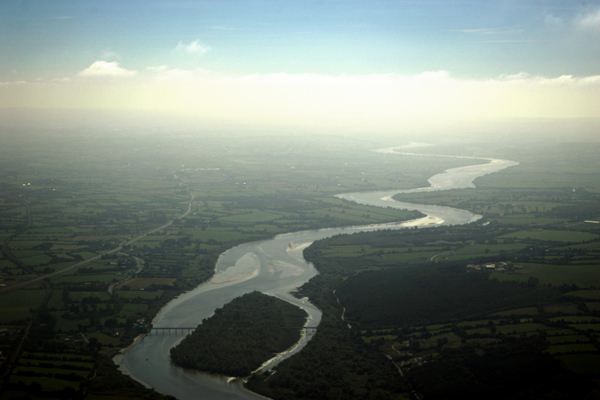 The island contains one for the biggest nature reserves on the river Suir. 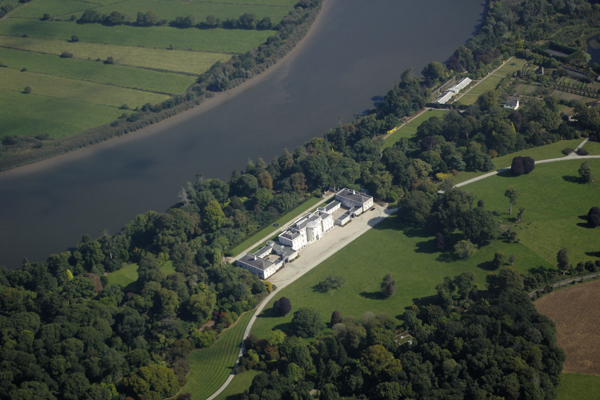 The house and grounds at Mount Congreve, sit on the banks of the River Suir as the river widens and begins its passage into the harbor at Waterford. From the road the house is hidden behind the wall but from this airial view one can see just how beautiful and well keep this house is. 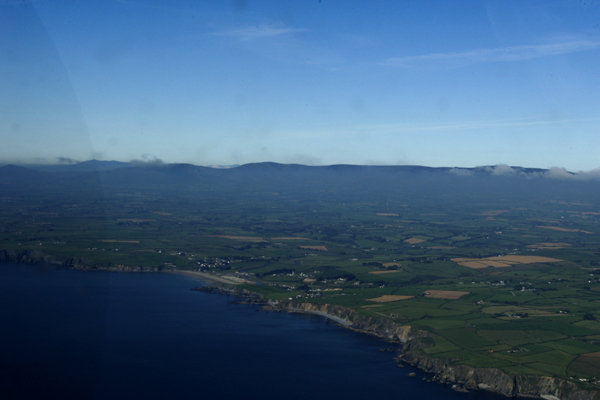 From this point we flew from Kilmeadan towards the Waterford coast and Tramore. Tramore is one of the largest tourist destinations on the south coast of Ireland. To some it offers images of fish and chip shops and holidays as kids in small apartments or caravans, fond memories. From this height however its true setting and beauty can be enjoyed. The beach heads off into the distance, this along with the inland sand dunes offer a great walk on a Sunday afternoon. 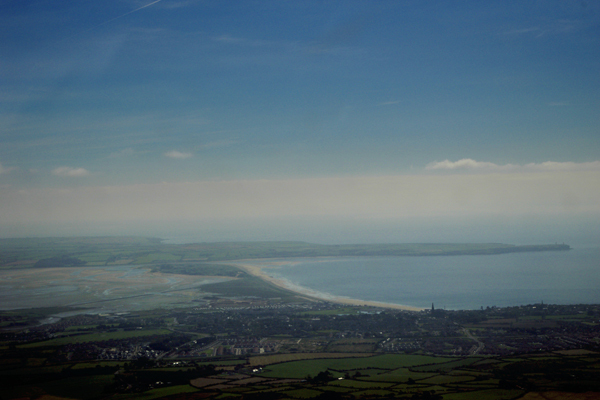 From Tramore we headed west along the Waterford coastline towards Dungarvan and the south Comeragh Mountains. This stretch marked the turning point of our journey and we soon turned back towards Carrick On Suir and Clonmel passing the cloud topped Mountains to our left. We climbed approximately 2000 feet at this stage in order to speed our journey home. The view back towards kilkenny was breath taking. 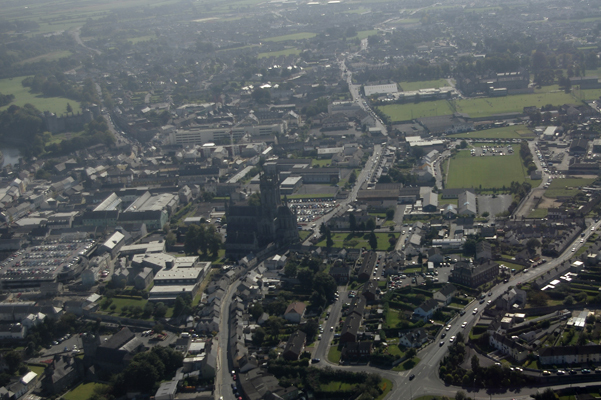 Once back in the kilkenny area we flew over the centre of the town. The full layout of the city came into view before we turned back towards the airport and our landing strip. The landing itself is one of the most breath taking experiences you could have. The airfield is set in a very beautiful location facing the hills towards Ballycallan. 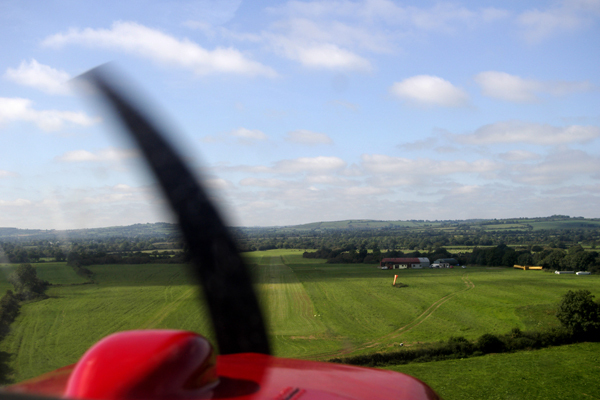 The green landing strip offers a very soft landing. Once down on the ground we were delighted with the trip and very gratefull to Pat for such a fantastic experience, possibly one of the best experiences you can have in the County and well worth repeating again and again. 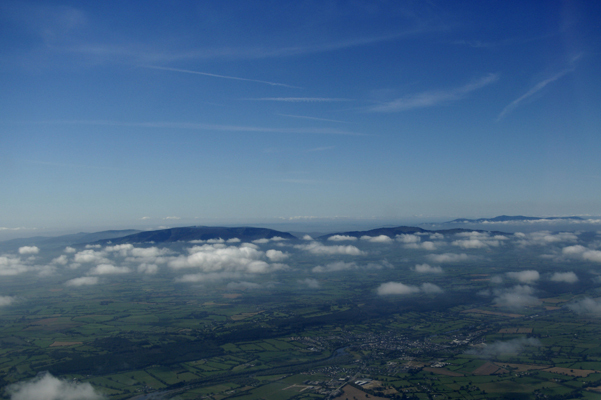 You can contact Kilkenny Flying and Gliding Club using the following details.